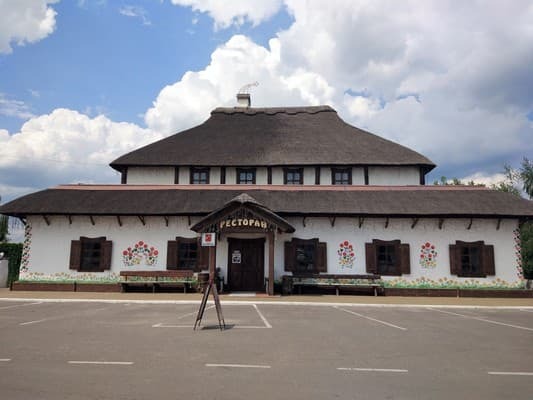 The Gulyai Pole Hotel is located in the village of Konstantinovka on the outskirts of Smila towards Kiev. 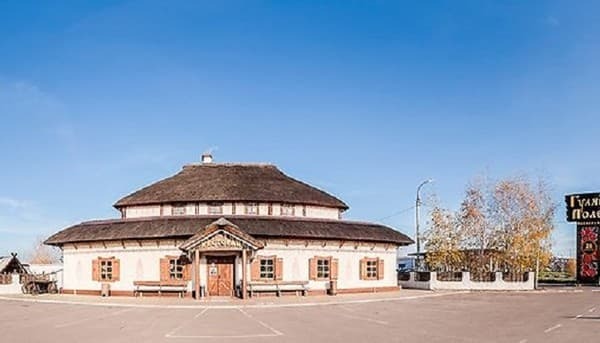 The hotel is located in the historic meeting place of the Haidamak detachments of M. Zaliznyak and V. Burki during the popular uprising "Koliivshchina" 1768-69 years. The complex is located on a large green area. The hotel has 10 rooms equipped with comfortable furniture, air conditioning, TV, individual bathroom. Free Wi-Fi is available throughout the Hotel Gulyai Pole. At guests' service there is a parking lot, gazebos, a brazier. 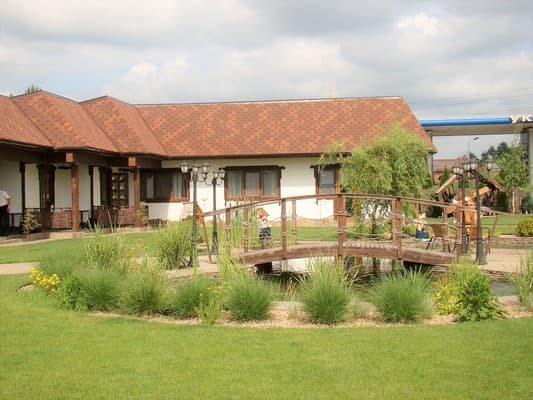 The hotel has a restaurant serving traditional Ukrainian cuisine and a grill menu. Distance to Kiev - 195 km, Cherkassy - 31.5 km, the town of Smela - 4.6 km. 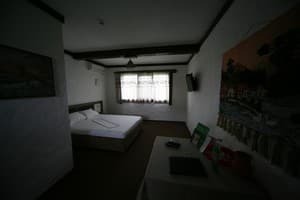 Description of the room: Comfortable double room with large bed. Equipped with bedside tables, writing desk, chairs. 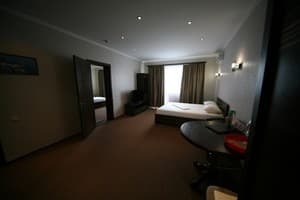 Description of the room: Spacious room with a double bed. It can accommodate 3 people. Отличное место, удобное расположение, парковка, круглосуточный ресторан. 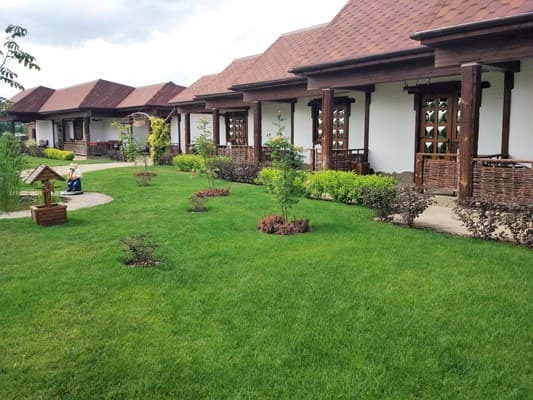 The hotel has a restaurant serving traditional Ukrainian cuisine and a grill menu. 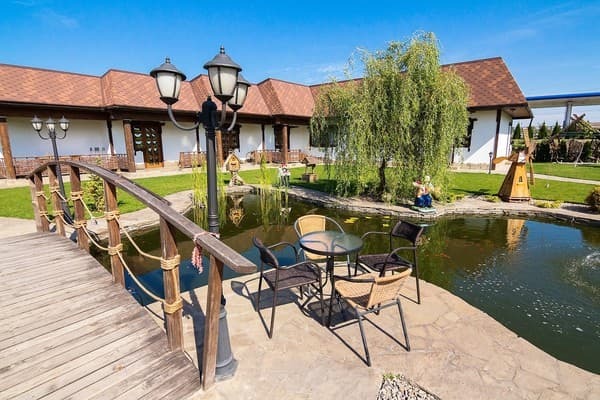 The hotel is located on the outskirts of Smila (s.Konstantinovka) in the direction of Kiev. Distance to the city of Kiev - 195 km, Cherkassy - 31.5 km, Smela - 4.6 km. From the city of Smila, take the N16 (10 minutes drive).